Australians love their music, and have not only amazing home-grown talent, but a bevy of iconic music festivals to watch them play live. At least until recently – as giants such as the Big Day Out, Soundwave, and Soul Fest ceased to exist, other festivals have struggled against a stigma of drug deaths, drunkenness, and general crazy that takes over during the huge, multi-day, multi-stage events. No matter the size, nor the style of music playing at Aussie music festivals, none of them would seem appropriate to bring children, and most aren’t open to people under the age of 18 anyway. Not so in Japan, the country where children as young as six can walk to school alone, it seems like rock loving mums and dads can bring their kids along too, without fear of them being in danger from the rest of the attendees. Tokyo’s Summer Sonic even provides child-care, and activities for children. 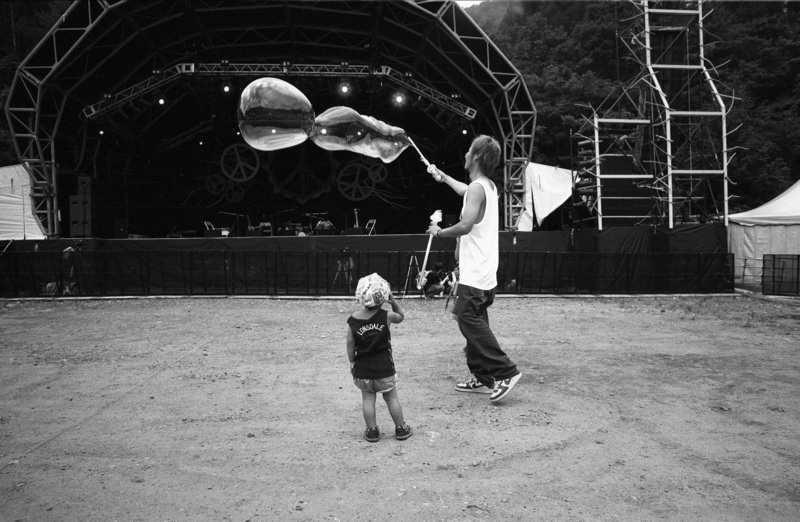 Fuji Rock in Niigata festival is described as “extremely family friendly”. Personally, I attended Osaka’s Summer Sonic in 2008, and remember it being incredibly hot, but very calm, with none of the violence I had been warned about by Aussie friends who had visited the Big Day Out. People brought tents, and could safely leave their belongings inside them while walking around the giant venue, as well as their being many cooler indoor stages to escape the summer heat. While the Osaka venue doesn’t have any child care amenities, close Japanese friends attended in 2015 with two children under four, and weren’t the only one with young children. They intend to go again in 2016. Their kids currently enjoy club music, and Taylor Swift. It’s uncertain whether Aussie revelers would appreciate kids in the mix of their fun, but it’s another nice aspect of Japan that even music festivals are safe enough for anyone, young or old. Even with the collapse of the big festivals, the news isn’t all negative from Australia either.